Sister Sites | Maxine Platzer Lynn Women’s Center, U.Va. Meet the extended YWLP family. Women at several other colleges and universities are able to serve as Big Sisters to girls in their communities through these YWLP Sister Sites. If you are interested in bringing YWLP to your college or university, please contact Jaronda Miller-Bryant for more information about the requirements and process involved in being a YWLP sister site. The Young Women Leaders Program in Cameroon was founded by Caroline Berinyuy who obtained her PhD at UVA's Curry School in 2012. The program promotes leadership as its US counterparts do but also provides encouragement for participants to continue their educations beyond the age that many girls in Cameroon leave school. In some years, YWLP students at UVA have the opportunity to apply for funding that allows them to conduct a site visit to YWLP in Cameroon hosted by Caroline Berinyuy. 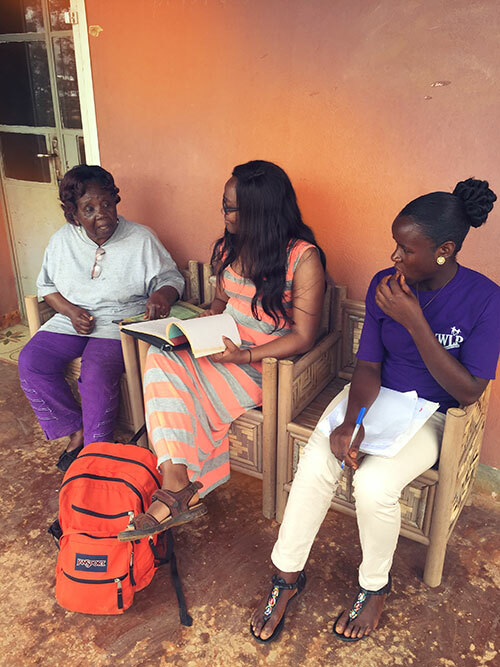 These site visits give our staff at UVA a view into implementation of YWLP in a different setting and provide YWLP's participants at UVA insights into the lives of girls in Cameroon.